Home Articles Spanish Gold in Tobermory Bay? Spanish Gold in Tobermory Bay? 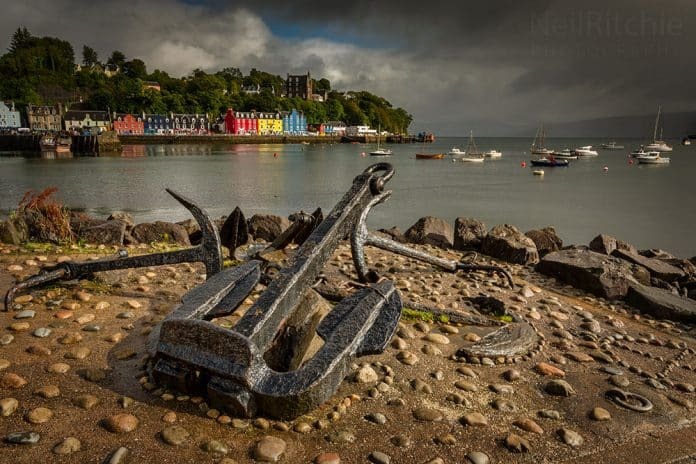 Following their defeat at the hands of the English navy in the summer of 1588, the surviving ships of the Spanish Armada were forced to make their way home around the north and west coasts of Scotland. Several ships were lost along the dangerous coastline in stormy weather. One ship, the San Juan de Sicilia, mysteriously blew up in Tobermory Bay off the Isle of Mull. Many believe that she was carrying a large amount of gold coin. Maclean proposed that the Spanish would be supplied food and water in return for Enriquez allowing the use of his soldiers. As part of the offer, Maclean would also provide five hostages, who would be returned once the soldiers were back. Maclean had a long-running feud with the Macdonald clan and he saw the potential of using Spanish troops in his fight against them. The Macleans and Macdonalds were not just local rivals, they were also fighting on opposite sides of the conflict in Ireland, with Maclean supplying mercenaries for Elizabeth I of England’s army and the Macdonalds supporting the rebel Irish lords. An agreement was reached and Maclean set off with his newly acquired Spanish mercenaries to attack the Macdonald lands. 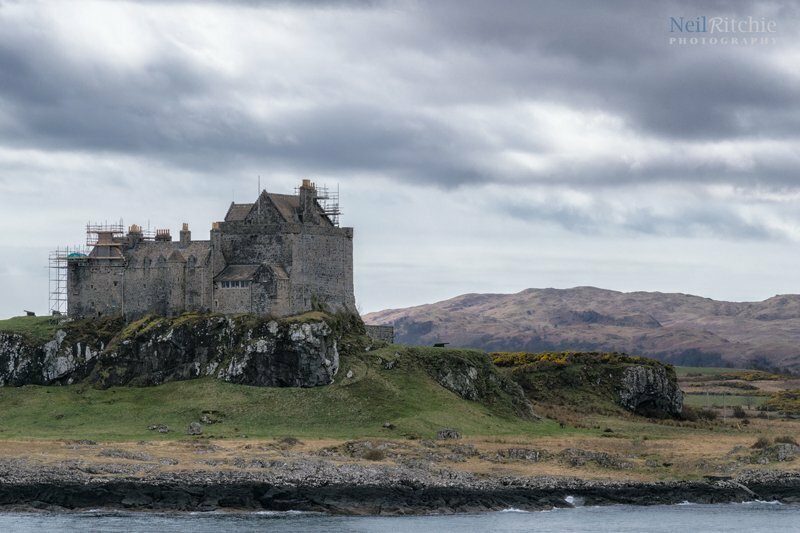 For more than a month they ravaged the Macdonald islands of Egg, Muck, Rhum and Canna before landing on Ardnamurchan and laying siege to the Macdonald stronghold of Mingary Castle. After a three-day siege, Maclean returned to Tobermory. In early November (possibly the 5th), after having spent over a month anchored in Tobermory Bay, the San Juan de Sicilia blew up. It is thought that one of the Maclean hostages may have sabotaged the ship by detonating the gunpowder barrels in the magazine when the Spanish began to set sail without releasing them. Another theory is that one the merchants who helped supply the galleon, John Smollet from Dumbarton, blew the ship up. He is believed to have been an agent for Elizabeth I of England’s spymaster, Sir Francis Walsingham, and was ordered to destroy the vessel. It is also possible that Maclean ordered the vessel to be destroyed since he had links with Elizabeth I. Some 50 Spanish troops were ashore at the time of the blast and Maclean retained them in his service for another year before they were shipped back to Spain. So why do people believe the San Juan de Sicilia was a treasure galleon laden with gold coin sailing with the Armada? The ships true identity appears to have been forgotten about following the sinking and rumours of gold linked to the wreck began to emerge about a century after the ship had sunk. A little bit of research on the vessel itself and you find that the San Juan de Sicilia, before joining the Armada, was the Brod Martolosi, a merchant ship, possibly part of the Spanish treasure fleet that sailed from the New World to Europe. The vessel was pressed into service as a troop ship for the Armada. Some also claim that the vessel at the bottom of the bay is the Duque de Florencia, a ship laden with gold and silver plate and carrying the Armada paymaster’s chest, a hoard of some 30 million ducats, however, the Duque de Florencia managed to make it back home. There have been a number of salvage attempts on the wreck but no treasure has ever been found, and probably never will. However, a sunken Spanish Armada galleon laden with gold coin makes for a good story. Neil Ritchie is the founder and editor of ScottishHistory.org. Neil is also the editor of other online publications covering military history, defence and security. He can be found on Twitter: @NeilRitchie86.